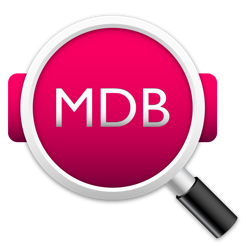 MDB Explorer is designed for quick and easy viewing of MDB and MDE files without having an Access license. 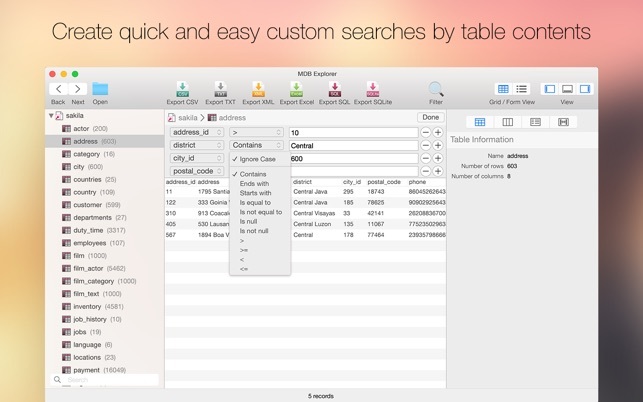 This application can be used to open tables from multiple Access databases, have your table structures shown and described in terms of column and relation. 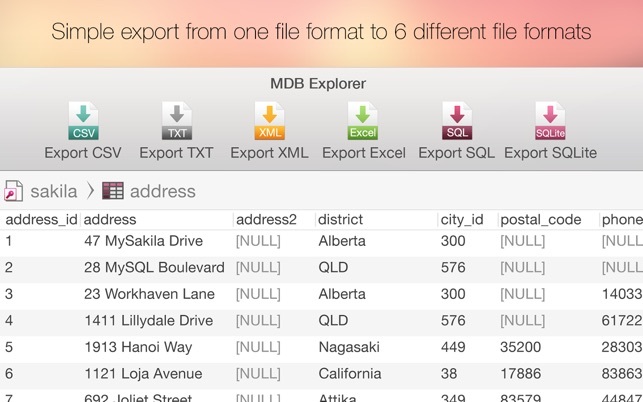 With MDB Explorer, you can export data into many other formats including SQLite, CSV, TXT, XML, XLS and XLSX. 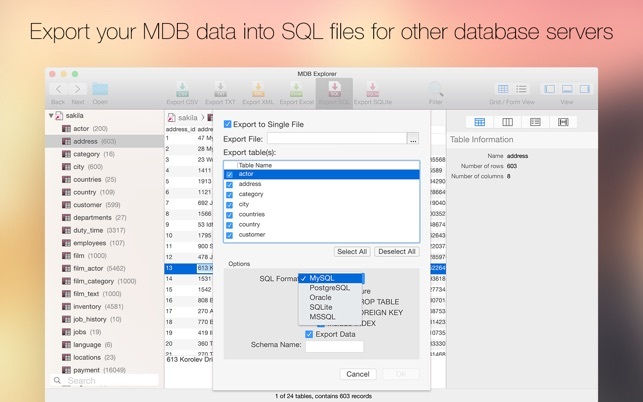 In addition, you can generate SQL files for other popular databases such as MySQL, PostgreSQL, Oracle, SQLite and SQL Server. 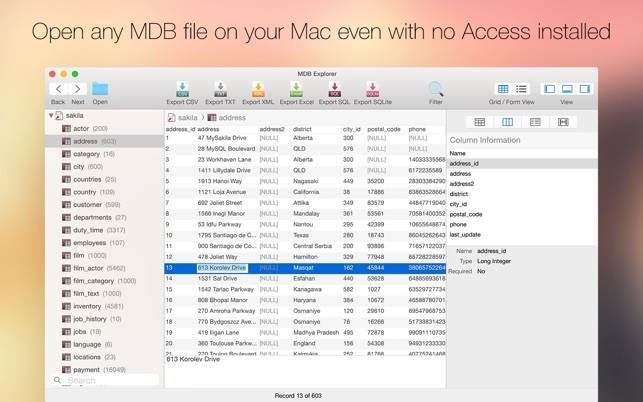 Note: MDB Explorer supports Access 97-2003 file formats. 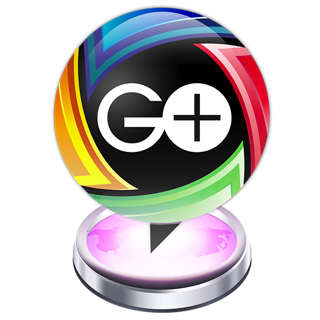 It is designed for tables viewing and exporting only; forms, queries, and database modification will not be supported in this program. Access 2007-2013 (.accdb) file format will be available as an in-app purchase. Just what I needed. 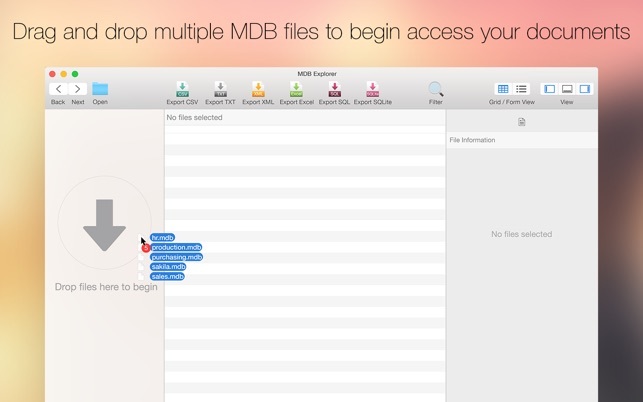 Allows access to MDB files and easy export. Top notch. The other reviewers having issues here probably are trying to open the accedb files, which takes a different converter made by this same company. I just want to open an access db&form but it runs out that paying $10 for this program does not give you that ability; you have to pay another $10 to open a file. Instead of doing that I will go compile the mdbtools off of github. Ugh, why would someone do this. Doesn't work. Upsells and Crashes - Booooooo! I bought it. And then realized that I hadn't read the fine print in the description under "What's New." They added an "in-app purchase" as if it were a feature and I had to pay an additional 5$ to get this tool, which advertises itself as "an easy way to view MDB files without an Access license," to open an Access db. Once open, I couldn't edit the data. Fair enough I guess. I then tried to export it as SQLite and the tool crashed (every time I tried it, it wasn't a fluke). Same with SQL, only I got an error not a crash. Same with CSV. What the heck? This thing doesn't do ANYTHING it says it will do. And my db only had a few tables/records in it with very little complexity. 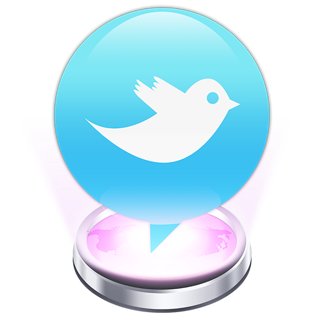 (I created it in 10 minutes just to test the tool.) I want my $ back.